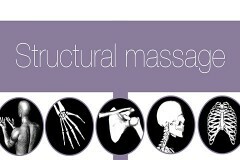 Structural massage combines an easy range of motion full body assessment, with techniques that include applying pressure while moving the joint through its range. Each joint in the body is tested, and then specific techniques are applied to joints with limited motion. Finally, we show highly effective ways of working while your client is seated. Welcome to our class. You can download the manual and testing sheets here. Also, a little bit about your instructor. This lesson discusses the three ideas that structural massage is based on- rom evaluation, specific techniques, and working in a vertical position. This lesson shows how to perform a full body ROM evaluation that is simple, easy and quick. It includes a downloadable testing sheet that will guide your work and allows you to record your session. This lesson shows how to work the muscles that limited extension, specifically the flexor carpi ulnaris, flexor carpi radialis and palmaris longus. This lesson shows how to work the muscles that limited wrist flexion, which includes the wrist extensor muscles. Shows how to increase supination by releasing the pronator teres muscle. Increase pronation by releasing the supinator muscle. 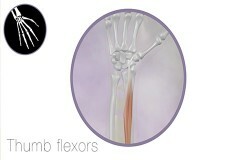 Release the thumb flexor muscles. 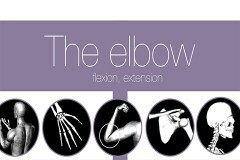 Discusses the muscles that control the elbow and shows the how to test for limitation. Release the muscles that cause limited elbow flexion- work on the triceps. This lesson shows how to work the biceps in cases of limited elbow extension. Learn how to evaluate and treat a shoulder that has limited external rotation. Shows to to release the muscles that restrict internal rotation. This lesson shows how to test for shoulder abduction, and how to treat any disfunction in the muscles. This lesson shows to to evaluate and treat a forward shoulder that is either forward and high, or forward and low. This lesson shows how to perform a strength test for shoulder abduction, internal and external rotation. Learn how to test for rotation and lateral flexion. 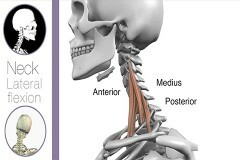 Shows to to increase lateral flexion in the upper and lower neck. This lesson shows how to remove rotation dysfunction from the thoracic spine. How to perform the squish test, straight leg raise, seated side bend, ilium upslip or downslip, and spring test for vertebral mobility. This lesson shows how to address an upslip and downslip ilium. This lesson shows how to evaluate for limited internal and external rotation and treat any dysfunction you find. This lesson shows how to release the back erector muscles using gliding strokes and active motion. This lesson shows how to release the QL in side bending and sitting. 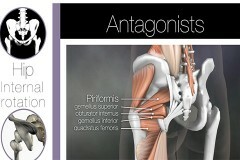 This lesson shows how to release the psoas and iliacus muscles. This lesson shows how to correct limited knee flexion by releasing the quadriceps muscles. This lesson shows how to test for knee extension, and how to release the hamstrings and gastrocnemius muscles to increase function. 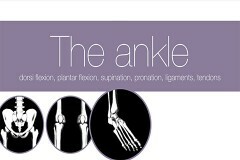 This lesson shows how to test the ankle. This lesson shows to to test for plantar flexion and release the tibialis anterior muscle. This lesson shows how to test and treat the gastrocnemius and soleus if involved in limiting dorsi flexion. This lesson shows how to release the peroneus braves and longus if they are restricting supination. Shows how to address restricted pronation. 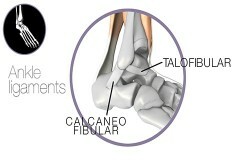 Shows how to address the calcaneo-fibular and talofibular ligaments using cross fiber friction massage. 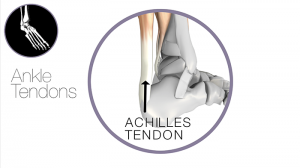 Shows how to apply cross fiber friction massage to the achilles tendon.